・　森永邦久，島崎昌彦，草塲新之助，星 典宏. カンキツ生産の新しい技術　マルドリ方式－その技術と利用－，近畿中国四国農業研究叢書第１号 農研機構近中四農研刊 (2005). ・　森永邦久. 気候変動の影響評価と適応技術. 農林統計出版株式会社刊「農業新技術シリーズ第３巻（農業・農村環境の保全と持続的農業を支える新技術）」, 第４章-1,-5 （2011）. ・　Akagi, T., T. Kawai and R. Tao. 2016. 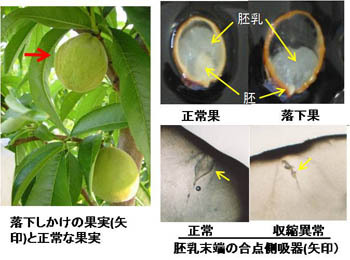 A male determinant gene in diploid dioecious Diospyros, OGI, is required for male flower production in monoecious individuals of Oriental persimmon (D. kaki). Sci. Hortic. 213: 243-251. ・　Kawai, T., A. Gonoi, M. Nitta, N. Yamagishi, N. Yoshikawa and R. Tao. 2016. 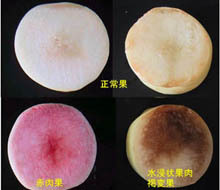 Virus-induced gene silencing in various Prunus species with the Apple latent spherical virus vector. Sci. Hortic. 199: 103-113. ・　Kawai, T., A. Gonoi, M. Nitta, M. Kaido, N. Yamagishi, N. Yoshikawa and R. Tao. 2014. Virus-induced gene silencing in apricot (Prunus armeniaca L.) and Japanese apricot (P. mume Siebold & Zucc.) with the Apple latent spherical virus vector system. J. Japan. Soc. Hort. Sci. 83: 23-31.